Being both modern and dynamic, Chamonix has expanded under the influence of tourism to offer a host of high mountain activities or just leisure, and all that in both winter and summer. The Montenvers railway is not to be missed and will enable you to reach the foot of the Mer de Glace and its entrancing sculptures in 20 minutes. Or you can choose the Aiguille du Midi cable car, which is one of the finest in the world and which will take you up to an altitude of 3 842 metres. MGM is always aiming higher and is launching “Cristal de Jade” in Chamonix, THE resort of excellence; internationally renowned and appreciated in winter and summer alike. At the foot of Mont-Blanc’s glacier’s, under the 4810 metre high roof of Europe, Chamonix unveils a welcoming and friendly town. Surrounded by legendary summits, Chamonix offers ski enthusiasts four major ski areas: Les Houches, Le Brévent/La Flégère, Balme and les Grands Montets. The world capital of skiing and mountaineering, Chamonix promises you some splendid landscapes. Since it was first climbed more than two centuries ago, Mont-Blanc and its 4810 m of altitude has always been one of the most prized peaks in the world, and remains an essential benchmark. Aiguille du Midi, Grandes Jorasses, Glacier des Bossons, Aiguille Verte, Mer de Glace, Vallée Blanche, and of course Mont-Blanc; there are so many legendary attractions that make Chamonix the ideal place for you to purchase your mountain apartment. Moderne et dynamique, Chamonix s'est développée sous l'influence du tourisme, offrant ainsi une multitude d’activités de haute montagne ou simplement de détente, et ce, aussi bien l’hiver que l’été. You can become the owner of an MGM apartment in Chamonix Mont-Blanc, and choose a splendid setting in the heart of this legendary region. Between tradition and modernity, Chamonix’s architecture is rich and diverse. In the course of a walk, you will be able to admire «Belle Epoque» buildings, town houses and palaces of character, traditional farms and traditional Savoyard chalets. «It was in Chamonix that MGM as born and expanded over a long period so naturally Chamonix remains our birthplace; a special and favoured area of research», David Giraud, CEO of the MGM Group. 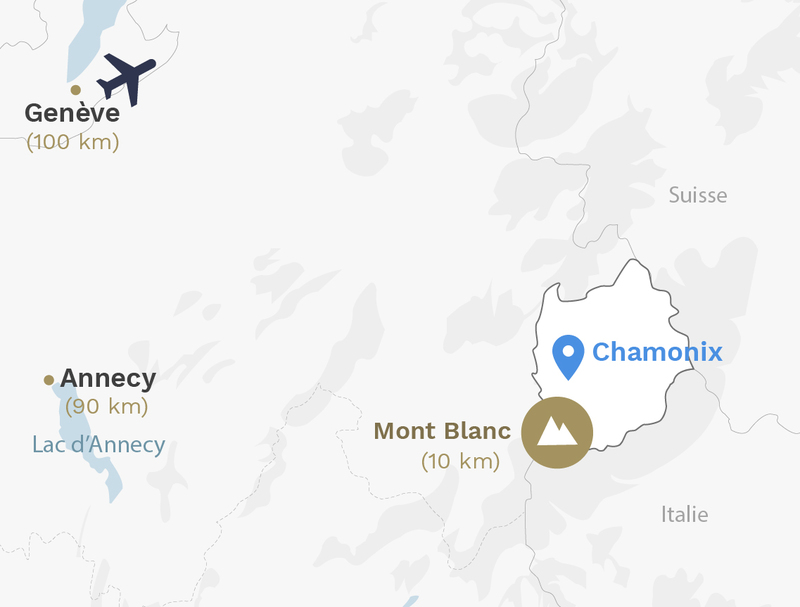 Chamonix is more than just a resort; it is a real town in the mountains endowed with modern amenities and easy to reach by road, rail or by air, Geneva Airport being about 1 hour away. The Mont-Blanc Valley is at the heart of Europe, close to Switzerland and Italy, offering a cultural melting pot which makes it a rich and cosmopolitan place. Welcome to the peaks of emotion! Situated in the heart of the Haute-Maurienne, this attractive winter sports resort stretches from the Vanoise National Park to the col du Mont-Cenis.